The Independent National Human Rights Commission has been demoted to status B. It denounces the “unfair decision” while others ensure that the latter is deserved. It is a severe blow to CNIDH. It is now relegated to status B; a gloomy status. Clearly, it loses its right to fully participate in regional and international networks. Its right to vote, to propose candidates as well as its rights to elections in international forums are over. The financial aid will also be suspended. The credibility of the commission which is questioned will send away the partners. Beyond the commission, the whole country will see its image tarnished. “Unfair and unjustified decision,” says Jean Baptiste Baribonekeza, Chairman of the commission. He claims that an appeal has been lodged against this decision except that obviously, it was not taken into account, since the demotion was decided. Human Rights organizations are qualified by CNIDH as campaigning the commission demotion; as an example, the final and detailed report of the inquiry commission of Fatsah Ouguergouz. He had not been tender towards CNIDH. Independent at the beginning, it gradually changed. According to the report, since April 2015, CNIDH has a tendency to minimize the number and seriousness of human rights violations committed in Burundi. It also accused it of lacking cooperation. This human rights activist believes that CNIDH is supposed to be relegated to status C, if it worked. “People wonder if it is watching the same thing like us,” he says. For him, challenging the reports produced by the human rights organizations, as the commission does, is not enough. According to him, it must be proved. “When it is noted that 504 people were murdered in 2017, it must contradict us by showing at least one living person and proving that we are telling lies”, he says. Pierre Claver Mbonimpa says the commission works for the government and has failed in its mission. This opponent in exile, CNIDH received a rightly deserved sanction for its lack of independence vis-à-vis the power in place. They managed to make this commission a true instrument of the regime incapable of producing true reports. Then, for the deliberate will of the current team, to conceal the grave violations of human rights committed in Burundi since 2015 including crimes under international law, “which are well documented by credible independent organizations, the United Nations and the International Criminal Court”. Is it really a victim of a plot? CNIDH has an approach of burying the head in the sand. It adopts the strategy to state that everything is going well in Burundi. What happens to it is the fault of others. Can we believe that the CNIDH, like Bujumbura government, is a punching bag of the international community? We may be fond of conspiracy theories. You know, the man has never walked on the moon; the extraterrestrial already share our daily life on earth, etc. But at a certain point, the truth will be known. We will wonder… there are the facts. The commission has produced reports, statements that question the reports produced by international investigators; the United Nations Independent Investigation Report on Burundi, the commission of Fatsah Ouguergouz, the FIDH, etc. Like Bujumbura government, CNIDH has adopted the refrain that “report of those organizations are biased and unbalanced.” From that point, describing this commission as defending the power in place is not a mistake. So, was the subcommittee wrong to accuse CNIDH of lacking independence? In any case, CNIDH was held in the highest esteem at the beginning and considered as independent like other humans’ right national commissions. Since 2015, it has no longer been credible as it used to be. 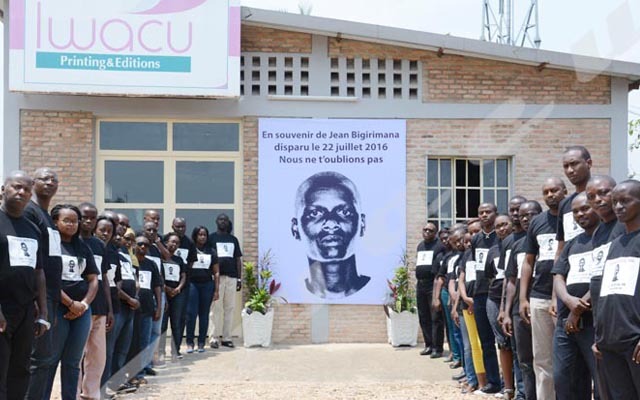 Accused of complicity with Bujumbura, it will be difficult for CNIDH to regain its credibility. This demotion is a victory for some human rights organizations that denounce CNIDH partiality. Then, CNIDH like Burundi government becomes the victim of the international plot.